President Trump plans to nominate Stephen Dickson to lead the FAA. 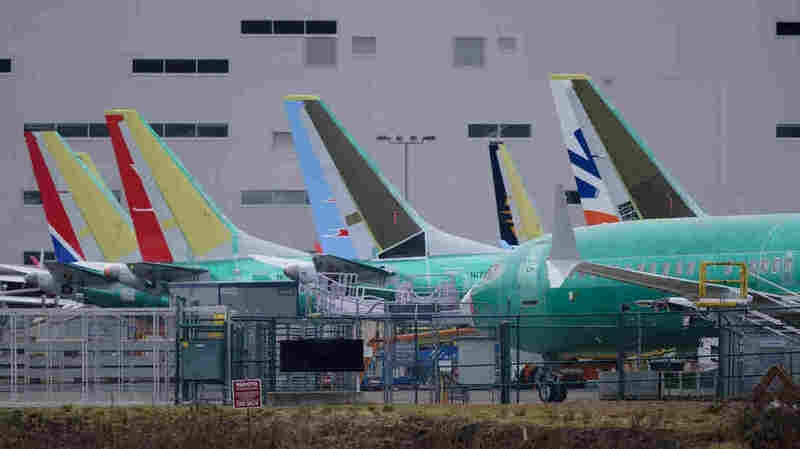 The agency is under scrutiny for its response to two crashes of Boeing 737 airplanes, which are pictured here outside of the company’s factory in Renton, Wash., on March 14. The White House says President Trump will nominate Stephen Dickson, a former executive and pilot at Delta Airlines, to lead the Federal Aviation Administration. The FAA has come under criticism for failing to quickly ground the Boeing 737 Max after the crash of an Ethiopian Airlines jet earlier this month, the second fatal crash of the Boeing plane in recent months. The FAA grounded the planes only after other nations did so. Acting Administrator Daniel Elwell told NPR’s Morning Edition that the agency was waiting for data to establish a “common thread” between the two crashes before grounding the planes. The FAA has not had a permanent administrator since Michael Huerta, an Obama holdover, resigned in early 2018. Elwell has been serving as acting administrator in the interim. There have been reports that pilots were upset at the lack of training provided by Boeing for the new plane, as well as criticism that the agency had grown too chummy with the company.